Culture is characterized by a set of values and behavior that make a society unique. And in every country, these cultural practices vary depending on the community’s social groupings and generation gaps. So, when we’re talking about the American and Philippine cultures, respectively, there are a lot of differences between the two. This includes varying eating habits, transportation systems, languages, unique gestures, and even family relations. But to make things less complicated about diversity, we’ve rounded up some of the funniest comparisons between the norms and beliefs of these two cultures. ung may magandang kapatid tropa mo…🇺🇸: your sister is so beautiful🇵🇭: BAYAW!! As a Filipino, taking off your shoes or slippers is a sign of cultural respect. Can you recognize this common problem for teenagers who stay up late? 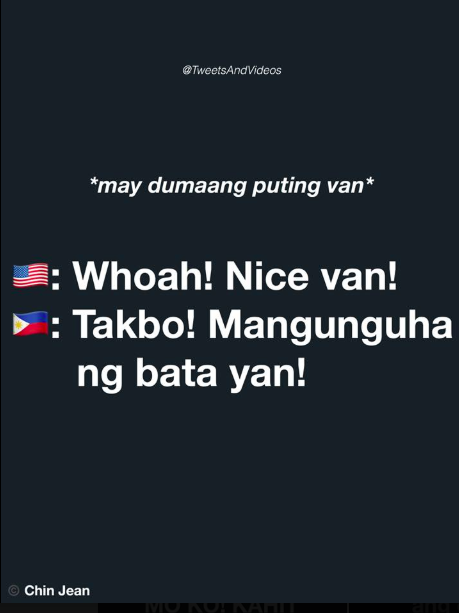 * wala yung hinahanap sa tindahan.🇺🇸:its ok.🇵🇭:magsara na kayo. 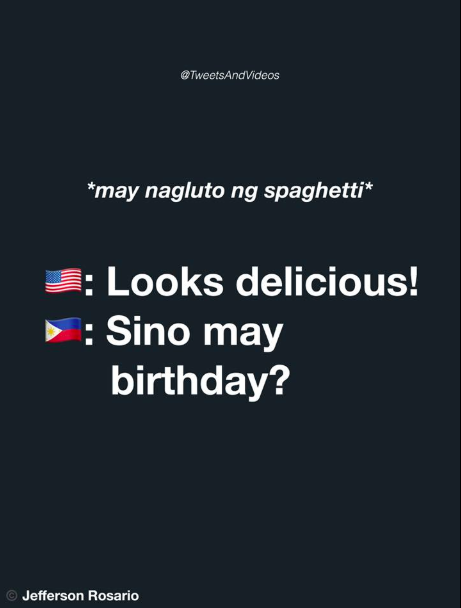 It is a family tradition in the Philippines to serve spaghetti on one special occasion – birthdays!